Lotto Jackpot 10,000 euro. There was no winner. Numbers drawn were 10,14, 15, 30. No winner. Next weeks jackpot €10100. Lucky Dip winners Padraig Monaghan, Ray Gilmore, Bernie Eckworth. Lotto Jackpot 9900 euro. There was no winner. Numbers drawn were 5, 7, 14, 19. No winner. Next weeks jackpot €10000. Lucky Dip winners Dan Twomey, Breege Finnerty, Margaret Debney. Lotto Jackpot 9800 euro. There was no winner. Numbers drawn were 13, 16, 19, 23. No winner. Next weeks jackpot €9900. Lucky Dip winners Bernie O'Brien, Ted Steede, Margaret Griffiths. 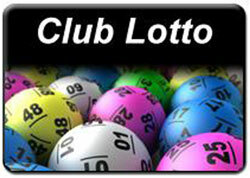 Lotto Jackpot 9700 euro. There was no winner. Numbers drawn were 2, 8, 19, 22. No winner. Next weeks jackpot €9800. Lucky Dip winners Neill McGill, Dolores Kilgarriff, Tony Rafferty.